Surely you’ve heard that buying a home is the largest financial decision you’ll ever make. And for most of us, that’s certainly true. Sometimes that very phrase can keep people on the homebuying sidelines due to such a daunting description. But how does someone know when they’re ready to buy? What is the trigger that prompts someone from being a renter to being a property owner? 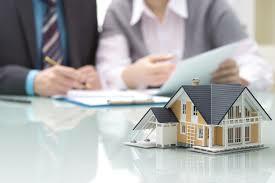 Certainly, there are income tax considerations as rent can’t be tax deductible but mortgage interest is. Yet on the flip side, there are additional costs of owning that renters don’t have. Costs such as property taxes, insurance, and repairs. In an apartment building, should the air conditioning go out, the tenant calls the property manager who takes care of the problem. In the same situation with a homeowner, there is no landlord that takes care of the A/C and it’s the responsibility of the owner. Another advantage of renting is portability. If someone decides they no longer like being where they are and want to move to another part of town or another city altogether, they simply wait until the end of the lease and move. Owning a home doesn’t provide that sort of portability. There are multiple considerations when evaluating whether or not to buy and they’re all important. Further, when you speak with a realtor about whether you should buy, what do you think the response will be? Of course, you’ll be told you should buy now and list a litany of reasons why it’s a good thing. But what agent is going to tell you that it’s not a good time to buy? It’s a confusing, emotional and analytical decision. That said, how can someone know if they’re really ready or not? One way is when they determine where they want to live they’ll remain there. Younger millennials are more likely to transfer to another city than older people. They’re also more likely to change addresses for any variety of reasons. But when someone gets comfortable where they want to live, it’s probably time to explore buying. Another signal is when someone starts comparing rent payments with mortgage payments. Interest rates are still relatively low while rental rates are on the rise to the point where the monthly mortgage payment is lower than rent. With a secure fixed rate loan, the monthly payment will never change. While renting, it’s almost a given that rents will be higher later down the road, not lower. Sometimes it’s a coworker who just bought a home and they’re excited. Maybe you’ve never thought about buying a home because, well, you’ve always rented. 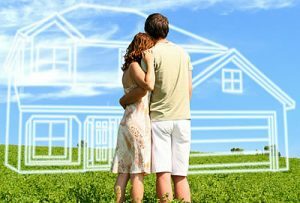 Yet when a coworker buys a home, you can begin to think, “Hmm, I wonder if I can buy a home?” When that little thought begins to enter someone’s brain and stays there, the curiosity only grows. That’s when some initial research is done online about monthly payments and about qualifying for a mortgage. From a qualifying perspective, there are other ways to know you’re ready to buy. You should check your credit report to make sure your credit is in good shape. Qualifying for a mortgage doesn’t require someone to have perfect credit but you do need to have good credit. Ideally, you will have two to three credit accounts in addition to your apartment lease. This can be a couple of credit cards and an automobile loan. Lenders will want to see your total monthly credit payments to be somewhere around one-third of your gross monthly income. Of these credit accounts, the most important is your rental history. A good two-year rental history and good payment history goes a long way for a loan approval. What about mortgage programs, which program is right for you? Unless you’re eligible for a USDA or VA mortgage, you’ll need a down payment. With an FHA Hud loan, the minimum down payment is 3.5% of the value of the home. In addition, you’ll need to address closing costs. You can speak with us about which programs will fit you best. In addition, how much cash you’ll need at the closing table which will include an amount for both the down payment and closing costs. But perhaps the best way to know whether or not you’re ready to buy might be a bit more subliminal. If you’ve been toying around with the idea of buying a home and you can’t seem to shake the notion, you’re ready. Your next step is a phone call with a specialist who can explain the process to you. And remember, you’re not alone as every homeowner at some point was in the exact same place where you are now. To get started, just call the number above or submit the Info Request Form on this page. 7 days a week.